At Williamsburg Regional Library we face a problem common to many public libraries; seasonal items are, well, seasonal. The hold lists for the most popular Christmas DVDs, CDs and books gather steam in late November and peak just before Christmas, so many people find they are finally getting their Christmas items in January or later. For me this was a happy circumstance. Christmas is over, but our wintry weather isn’t, so I have been enjoying Downton Abbey’s magnificent music CD well into March. This two-disc set has almost fifty tracks performed by a variety of artists, including famous singers like Kiri Te Kanawa and the Choir of the Kings College Cambridge. They showcase a variety styles but there are no rock versions; all the music is traditional. With my astounding musical knowledge I would describe them as “tinkly.” The tracks range from single voices (O Holy Night) to joyful and uplifting choir numbers (Joy to the World, The Lord is Come) to somber organ music (God Rest Ye Merry Gentlemen) to instrumental (Dance of the Sugar Plum Fairy). I recommend this CD for all year long (coming from the southern hemisphere, I’ve always been a bit seasonally confused when it comes to Christmas). You don’t have to be a Downton Abbey fan to need and enjoy comforting, inspiring music that will get you out there exercising your lungs! 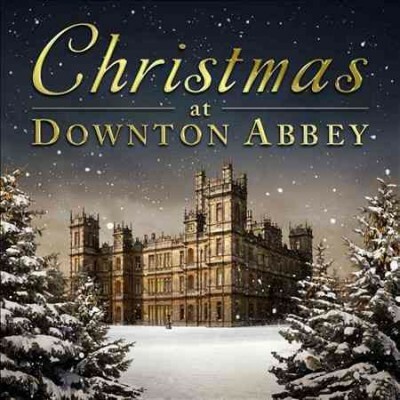 Check the WRL catalog for Christmas at Downton Abbey. Downton Abbey is all well and good, but what about the folk who weren’t living (or working) in the big manor house? This captivating series from the BBC documents one year in the life of an Edwardian farm, as recreated by historian Ruth Goodman and archaeologists Peter Ginn and Alex Langlands. The team has a ready-made backdrop for their endeavour, which is filmed in the historic port of Morwellham Quay, on the Tamar River, in the county of Devon, UK. Its mild climate in southwest England and natural resources made it a center for fisheries, copper mining, and market gardening of crops like daffodils and strawberries as well as crop farming. Each episode covers a month of the year, beginning with fall’s preparations for winter and carrying on through all stages of planting a cereal crop, raising livestock, and celebrating the turnings of the year. The crew pull this project off with infectious enthusiasm, making the audience part of their successes and failures and reminding viewers that their experiments with, for instance, building a hayrick to keep the cattle feed dry, could make or break a farmer’s livelihood. Ruth Goodman is illegally cheerful even when getting up in the pre-dawn dark to lace her Edwardian corset and scrub the stone floors, and given her share of chores—stewing the sheep’s head, mucking out the pig, lime-washing the privy—it’s no wonder she’s practically giddy when she gets to escape on a bicycle to film another segment on something like the old cottage industry of Honiton lace. Meanwhile, the archaeologists can be found chasing livestock about, fossicking for copper left behind in the mines, or firing up a lime kiln to prepare ten tons of fertilizer. Even the usually taciturn Peter Ginn is adorably beside himself when his handmade trout hatchery, against all odds, yields three tiny trout. It’s an interesting time period, 1901-1910, horse-drawn plows and steam railways working side by side until traditional ways give way to steam-powered machines like the newly-invented tractor. For those traditional crafts, Goodman, Ginn, and Langlands learn from a parade of experts: coopers and farriers, miners and horse whisperers, lacemakers and hazel wattle hurdle makers. Other supporting “characters” include the beautiful Devon landscape and a variety of native livestock including Red Ruby cattle, beautiful Dartmoor ponies and Shire draft horses, and assorted chickens and pigs. Edwardian Farm is one of a series of recreations including Victorian Farm, Tudor Monastery Farm, and Wartime Farm. Sadly, none of the others have been released yet in the United States. Even if it doesn’t inspire you to get out there and lay a hedgerow, it will certainly renew your appreciation for hot running water. Check the WRL catalog for Edwardian Farm. Call the Midwife is a fascinating mix of social history and medical memoir, as well as a vivid portrait of a time and place, but that description (glowing as it is) hardly does justice to a book that made me laugh out loud one minute and sob in sorrow the next, and even look forward to my commute so I could enter the book’s world and hear what happened next. Jennifer Worth (known as Jenny) was a young nurse in the 1950s and she became a midwife with a order of nuns in the slums of the East End of London. Her memoir was published in 2002 so, from the distance of five decades she is in a good position to talk about how medicine and the world have changed. Some of the changes are bad, like the breakdown of families that she has seen among poor people in London, but so many things changed for the better, like medical knowledge and standard of living (plumbing for one thing!). When she started as a midwife most births were at home, attended only by a midwife and as a 23-year-old nurse who was often the only professional present. This was a great step up from no antenatal or birth care, which she says was common prior to 1950 for the poor people of London. If you are squeamish, this may not be the book for you: many births are described in detail. A glossary of medical terms is included at the end to help the uninitiated. The humor throughout comes from the hijinks of young nurses and foibles of the nuns, several of whom had nursed through World War I. Worth expresses deep sorrow at the devastating conditions of the workhouse or the fourteen-year-old Irish runaway who is manipulated into working as a prostitute. Jennifer Worth is a memoirist who doesn’t put herself at the center of her story, but tells the stories of others who she came to as an outsider: a non-Catholic living with nuns and a middle-class woman among the Cockneys. She always strives to understand their lives on their terms, rather than imposing her views and even creates a 14-page appendix “On the difficulties of writing the Cockney dialect.” Her talent is capturing the diverse characters on the page, and making the reader care about them. This book should appeal to watchers of Downton Abbey for the historical domestic British connection. For those like to hear about the lives of real and everyday people it will grab readers of Below Stairs, by Margaret Powell; Nella Last’s War, edited by Richard Broad and Suzie Fleming; or a new book, Minding the Manor: The Memoir of a 1930s Kitchen Maid, by Mollie Moran. I also recommend it for anyone who is interested in memoir, medical history, women’s lives or social problems. Check the WRL catalog for Call the Midwife. 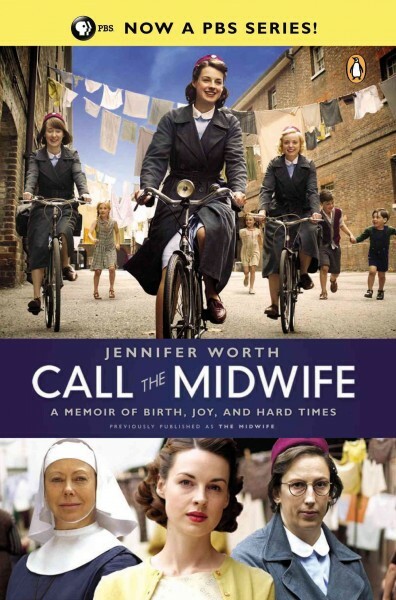 Check the WRL catalog for Call the Midwife on CD read wonderfully by Nicola Barber. 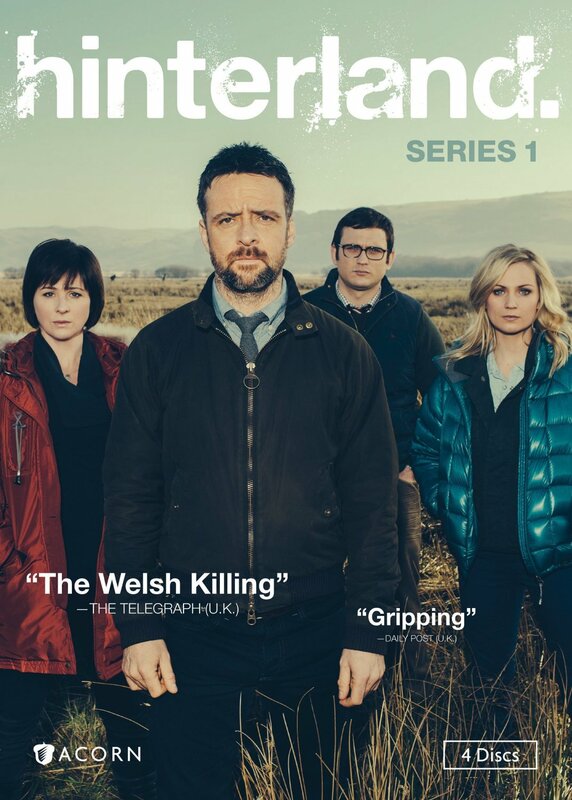 I haven’t had a chance to view the BBC series adapted from the book, but it has great reviews, so it is on my list. Check the WRL catalog for the BBC adaptation of Call the Midwife. You’ve just been accused of stealing 17 yards of lace. Your trial lasts eight minutes. No one testifies on your behalf. Verdict: Guilty! Sentence: transportation to Australia. Don’t you wish you’d had a lawyer? Set in the late 1700s, this BBC courtroom drama brings all the plot twists and cross-examinations that we have come to expect from a long line of lawyer shows, but with an entertainingly rudimentary legal system that is not yet close to what we would consider a fair trial. It’s based on the career of English barrister William Garrow, who championed such radical ideas as “innocent until proven guilty” at a time when it wasn’t even a given that you’d have a lawyer for the defense. Over three seasons, Garrow confronts corrupt thieftakers, slave traders, and the infamous “London Monster,” said to have disguised a knife in a bouquet of flowers to stab young ladies in the face as they bent to smell the roses. Many details of the cases come from the archives of the Old Bailey, London’s central criminal court. Even the pettiest cases can be life or death. Under what would later be referred to as the “Bloody Code,” an enormous number of crimes could incur the death penalty. The emphasis on crimes against property seems to defy reason: note that Renwick, the London Monster, isn’t tried for assaulting a young woman’s person, but for ripping her dress. Enjoy the raucous, public trials; the charismatic acting; and the period Georgian sets and costumes. WRL owns all three seasons (twelve episodes). Check the WRL catalog for Garrow’s Law. Doctor Who has clocked almost eight hundred episodes over thirty-three seasons. If you add in the fact that the Doctor can travel to any time in history and any place in infinity, then it isn’t surprising that it can be a little difficult to keep all the characters straight. That is where the Doctor Who Character Encyclopedia comes in very handy. With more than two hundred entries from Abzorbaloff, the greedy shape shifting humanoid to the Zygons who met the fourth Doctor, it can’t claim to cover all of time and space, but it comes close. November marked the fiftieth anniversary of Doctor Who–an extremely exciting event for Whovians. Those of us without BBC America on cable would have been left waiting for the Fiftieth Anniversary Special to come out on DVD except that, for the first time I have encountered, the Fiftieth Anniversary Special was kindly shown at movie theaters. Our closest movie theater showed it on IMax 3D on a Monday night, which is not my preferred format or time, but I had to go anyway. I didn’t dress up–unlike dozens of other Whovians young and old. They varied from around ten years old to well into their fifties or even sixties which is a very mixed fan base, but is not surprising for a show that started running before the moon landing and continues to attract fans. The Doctor Who Character Encyclopedia is a well-organized book in which you can search for characters by name, or browse the Table of Contents where they are categorized by type such as “Alien,” “Companion,” “Cyborg,” or “Entity” with color coding matching their main entries. Each character gets a full page spread with a description, details about their origins, homeworld, which Doctors they met and how they fit into the stories. Sharp, bright photos, typical of Dorling Kindersley publishers clearly show the attributes of each character. The BBC obviously saw publishing opportunity in the interest around the fiftieth anniversary and this is an official BBC publication. If this book is out, our library has other books of background for desperate Doctor Who fans, such as, Doctor Who: A History by Alan Kistler or Doctor Who Whology: The Official Miscellany, by Cavan Scott and Mark Wright. The Doctor Who Character Encyclopedia is a must-read (or a must-browse) for Doctor Who fans. If you are not a fan and are wondering what all the fuss is about try my review of the TV series of Doctor Who and check out some of the series on DVD. 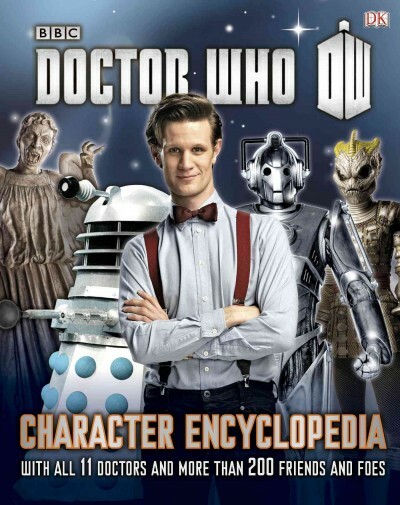 Check the WRL catalog for Doctor Who Character Encyclopedia. Oh no! Andrew is posting another Terry Jones book! Much as the barbarians at the edges of Rome’s noble empire did, you’ll just have to get used to it. (Except that there was a seemingly never-ending supply of barbarians and this is running up on the end of Jones’ books.) So. History. We all know who writes it, and in the case of the Roman Empire there is little doubt. Their portrayal of the people and territories they conquered is an unrelenting narrative of a superior culture overwhelming illiterate untutored savages and bringing the light of Civilization into their benighted lives. One of the ways they succeeded in creating this narrative was by destroying all evidence to the contrary. But, like murder, history will out, and medieval historian and humorist Terry Jones has taken the heavy lifting done by specialists, collated it and brought it to life in an entertaining way. To hear them tell it, the Romans were surrounded by enemies actively seeking the destruction of their city and way of life. But looking at the maps and the archaeological evidence, it seems as though the Romans, in a never-ending quest for return on investment, were the ones actively seeking conflict. And boy, did they get it. And boy did they get their return on investment. The gold of the Celts and Dacians, wheat from Egypt, religion, knowledge, and military technology from Greece, slaves from all over the empire, foreigners brought into citizenship by enlisting in the Roman army–the benefits all flowed into the coffers of Rome. But the price to the Romans was also steep. Culture by culture, Jones takes us around the edges of the Roman empire, showing that art, learning, technology, law, and military skill exceeded that of Rome. What those cultures didn’t have was a deep-seated need to conquer any perceived threat to their home, which was what relentlessly drove Rome on. In doing so, Rome got to tell their side of the story for nearly three millenia; now, with the benefit of skepticism, scholarship, and science, those “barbarian” contemporaries can begin to assume their place on the stage. 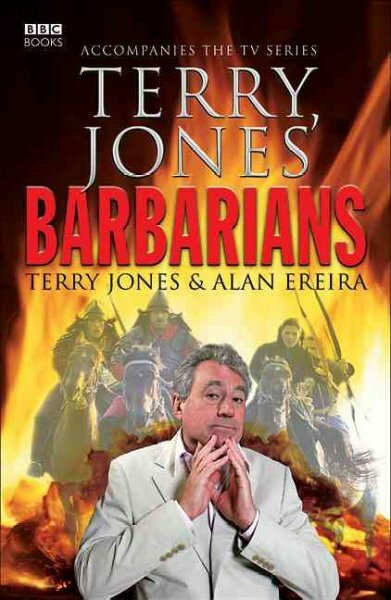 Terry Jones’ Barbarians was published to accompany the BBC series of the same name. Although the video isn’t widely available, the book more than makes up for the lack.